If you are a business owner, you are probably busy 24/7 and can’t always give each necessary task your full attention. 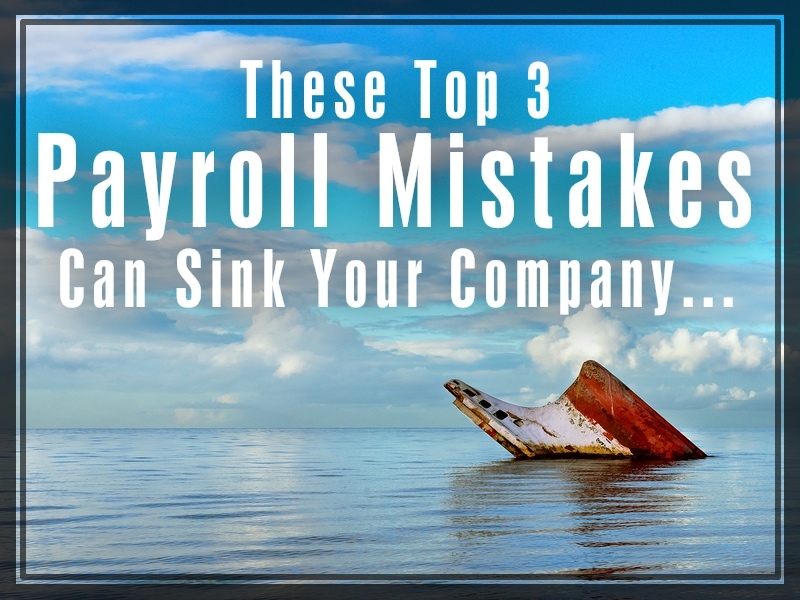 If you get to the point where you have to put something on the back burner, make sure it’s not payroll. Workforce Management Suite has convenient, powerful tools to help you avoid these common payroll mistakes. Manual timekeeping systems that obligate staff members to log hours on a paper timesheet are susceptible to errors that are both intentional and inadvertent. Employees often record their prescribed shift start time even when arriving late and do the opposite when leaving early. Even your most trustworthy worker can have trouble accurately recalling hours when filling out a time card several days after the fact. Inexact timecards increase costs of labor unnecessarily and burden your HR staff (which may just be you). TimeWorksTouch tracks employee time to the minute to make certain that you only pay team members for the time they are working. Workforce Management Suite maintains accurate audit-ready time and attendance reports that can safeguard you in case of a DOL dispute. Employee classification affects benefits eligibility, minimum wage provisions, overtime pay eligibility, and workers’ comp eligibility. Employers who misclassify are in jeopardy of state and federal penalties and should consult the comprehensive DOL guidance on the subject. Workforce Management Suite allows you to customize the job codes for your business to help you stay in compliance and develop efficient scheduling strategies to keep your labor outlays as low as possible. Small business owners may wrongly think that failing to pay payroll taxes is akin to not paying personal income taxes. If you get in a cash pinch, DO NOT put off paying your payroll taxes as a stopgap measure. Meeting all of your employer tax obligations is difficult without trustworthy time and attendance data for each pay period. Workforce Management Suite automatically collects, calculates, verifies, and submits the critical information to your payroll provider. SwipeClock LLC serves many businesses like yours and can help you steer clear of these dangerous pitfalls with the experience and skill you can trust in. Call us today at 8882233450. SwipeClock LLC offers Workforce Management Suite, the powerful, fully-integrated Workforce Management Suite that makes it easy to optimize the performance of your managers, employees, and business.